UMCOR and our partners are responding to disasters both in the United States and around the world. Please join us in prayer for the areas affected and consider a gift to UMCOR Disaster Response. As we assess the impact of these storms, we will provide timely updates as we receive information. We will also share additional ways in which you can provide assistance. As thousands flee wildfires in California, UMCOR is in close conversation with the disaster response coordinators of the California-Pacific and California-Nevada Conferences of The United Methodist Church. We are proud to say that because of UMCOR’s investment in disaster response training, our partners are better prepared to reduce risk and respond effectively to the needs of survivors. UMCOR partners have begun their local response in the Alabama-West Florida, South Georgia and Florida Conferences. Other neighboring conferences have provided assistance, and all were well prepared to respond quickly using UMCOR response training and the UMCOR supply network. Affected Conferences are not yet ready to receive out-of-conference volunteers. We remind those wishing to provide assistance to please not self-deploy or donate unsolicited items. Many areas are still engaged in emergency response efforts. Before Hurricane Michael made landfall, Conference Disaster Response Coordinators were in touch with local leaders and secured a 35,000ft2 warehouse in Marianna, FL with necessary equipment to expeditiously stock and distribute relief supplies. Moreover, the Conference was awarded a $10,000 solidarity grant which partners are using to support evacuees and survivors in the impact zone. Assessments are underway and continue to expand as more residential areas open to response teams. Many church structures have been damaged or destroyed. Partners continue to receive relief supplies from UMCOR warehouses. For more information please visit, hurricanemichaelrecovery.org, or call 888-942-4477 (please note this line should be used for information relating to the Alabama-West Florida Conference only). In South Georgia assessments are underway and partners have deployed a shower trailer, clean-up supplies and water. Early Response Teams are mobilizing, including teams from both South Georgia and North Georgia Conferences. Local churches and partners are assembling additional cleaning kits for immediate use. For more information, please visit https://www.sgaumc.org/newsdetail/assessing-hurricane-michael-damage-12238766. The Florida Conference was awarded a $10,000 Solidarity Grant to deliver relief supplies to affected areas. Early Response Teams are responding and assessing damage. For information please visit https://www.flumc.org or call 855-228-3862. Local partners and volunteers have responded to the needs of those affected by Hurricane Florence in unprecedented ways. ERTs are active in both the South Carolina and North Carolina Conferences. Partners have delivered supplies and kits throughout the region and local churches continue to assist with damage assessments and relief efforts. We are asking that those wishing to assist please do not self-deploy or donate unsolicited items. Affected conferences are managing their responses locally and will make requests for materials and response teams as they continue their assessments. In North Carolina and South Carolina, long-term recovery volunteer teams are still needed in response to previous disasters, providing opportunities for those wishing to assist immediately while the Conferences continue to assess the specific needs from Hurricane Florence. If you would like to volunteer, contact the North Carolina Disaster Call Center at 888-440-9167, disasterresponse@nccumc.org or through the North Carolina Conference webpage. If you would like to volunteer, contact the South Carolina Call Center at 803-726-3105, screcovery@umcsc.org or through the South Carolina Conference webpage. UMCOR U.S. Disaster Response teams are hard at work not only in the Carolinas and Gulf Coast, but across the country. Often, our partners work in places affected by disasters that do not receive substantial media attention. Explore the many places UMCOR partners are currently assisting in disaster response on the map below. UMCOR is fortunate to consistently work with many partners in Indonesia. We are currently coordinating with partners on the ground to address immediate needs of vulnerable people affected by the earthquakes and tsunami. We have been in contact with Methodist Church leadership to support assessment, initial relief work and further evaluation and prioritization of needs as we reach recovery phases. Since 2017, UMCOR has trained and funded Disaster Management teams in order to empower communities to proactively alleviate suffering caused by the effects of disasters. Their work allows for communities’ advance awareness and preparedness, aligning with the efforts of other conference teams and ecumenical councils from across the region. At a national level, this initiative ensures that the maximum number of people are prepared for a storm’s impact. Moreover, the Manilla, Davao and Baguio Episcopal Area offices continue to distribute daily weather advisories to community leaders. UMCOR IDR has authorized a 10,000 USD Solidarity grant to address immediate needs in the most hard hit provinces of Baguio while the Disaster Management Coordinators in the Philippines continue to work with their communities after Typhoon Mangkhut and maintain their assessment of damages and analysis of needs. Our Salvation Army Adopt-A-Family Angel Tree will be up the Sunday after Thanksgiving – November 25. Gifts will be collected up to Sunday, December 16. We plan to assist two-three families, totaling around 10 folks. The Missions Committee and Salvation Army want to thank our church family for their response to the Angel Tree last year. We helped two families, totaling nine individuals. One family was a widowed mother with three boys, living with her mother. The other was a newly single mother with three girls, one of whom had taken a job to help with bills. Gift requests were daily needs items like winter clothing, boots, simple toys or crafts for children, household items. All items placed on the tree were taken by generous folks who wanted to help make the season a little better for those whose needs are great. In addition, individuals who made donations for gift cards to Giant and Wal-Mart allowed these folk to make some choices of their own. It’s time to fill a shoe box! Since 2002, generous participants at our church have filled some 800 boxes with small gifts for children, many of whom have never before received a gift. Check the Wagner Room for brochures explaining the ministry, suggested gifts, and instructions for preparing the box. Even non-shoppers like myself have found this to be fun and rewarding. Some boxes will be provided in the Wagner Room. Note that a plastic container may be substituted for a shoe box. How to Pack a Shoebox brochures can be found in bulletins or in the Wagner Room. Take note in the brochure of prohibited items, especially all foodstuffs, toothpaste, liquids, which had been permitted in the past. Also, at samaritanspurse.org, you can read much more about the program, print labels that will allow you to track your box so you know what country it goes to, and even pack a box online for $25. If you have extra shoeboxes, you can bring them to our Wagner Room for others to use, and plastic containers can also be substituted for a shoe box. This ministry not only provides smiles and gifts, but reading materials and follow-up (by Samaritan’s Purse ministry founded by Franklin Graham, son of Billy) to introduce children to Jesus Christ, in over 160 countries. Over the years they’ve distributed over 157,000,000 gift boxes. An online feature allows you to trace where your box goes. 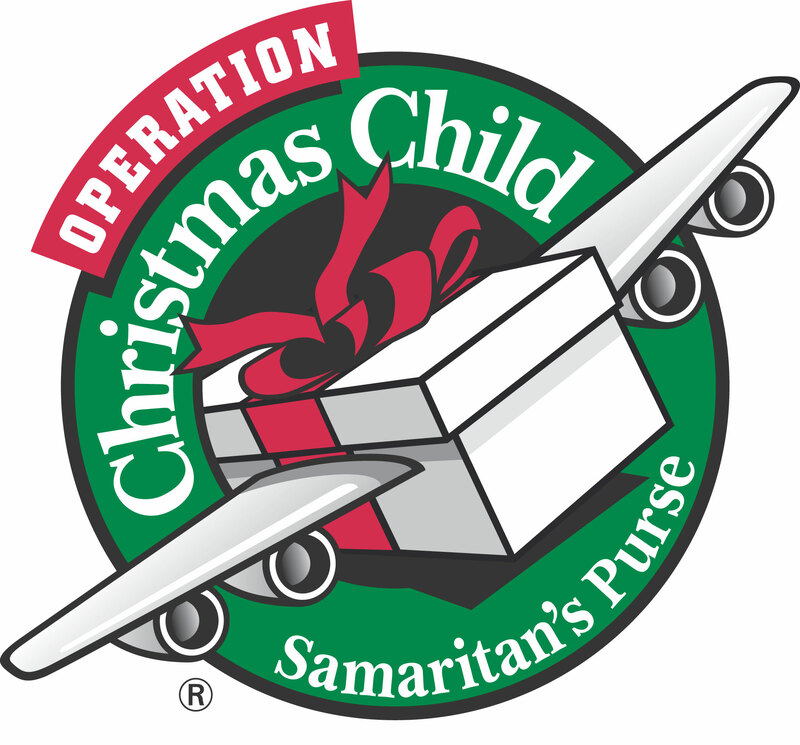 Give Your $9 Donation Online to Track the Destination of Your Shoebox Gift! The amazing journey of a shoebox begins with you! When we set up our Angel Tree after Thanksgiving, you’ll be able to pick a tag (or two?) to buy gifts for others not as fortunate as we are. For many years, through the Salvation Army’s Adopt-a-Family Program, Lincoln Park Church has helped (usually three) families, with gifts and more. The tags on the tree are requests for items like winter clothes, boots, simple toys or crafts for children, and household items. Gift cards to Giant and Wal-Mart have also been purchased through your donations. Your generosity makes Christmas a bit better for those whose needs are so great. During the week of June 4–10, seven volunteers, including four from Lincoln Park, traveled to the United Methodist Disaster Response Center in Tarboro, North Carolina. Pastor Dave, Todd Beamesderfer, Dave Gehr, and Sue Race joined others there, working on 800 homes badly damaged by hurricanes of the past two years. The United Methodist Church has committed two years to disaster relief in the Tarboro area. It also hopes to raise $15,000 for this cause, to match funds appropriated there by FEMA. The “modest” homes there have been raised off the ground now, about three feet, but they have no walls or flooring, says Pastor Dave. “Our work — in the town of Princeville — included laying subflooring, dry walling, and putting in a kitchen. We got a lot done in a week. We met the families whose homes we worked on; it was meaningful.” Homeowners had little warning before evacuating for Hurricane Matthew, so they took little with them, and three weeks went by before they were allowed back into their homes. The “quaint” town of Princeville was founded in 1865, the first town in America founded by freed slaves. “There’s a lot of Civil War history there,” says Dave.